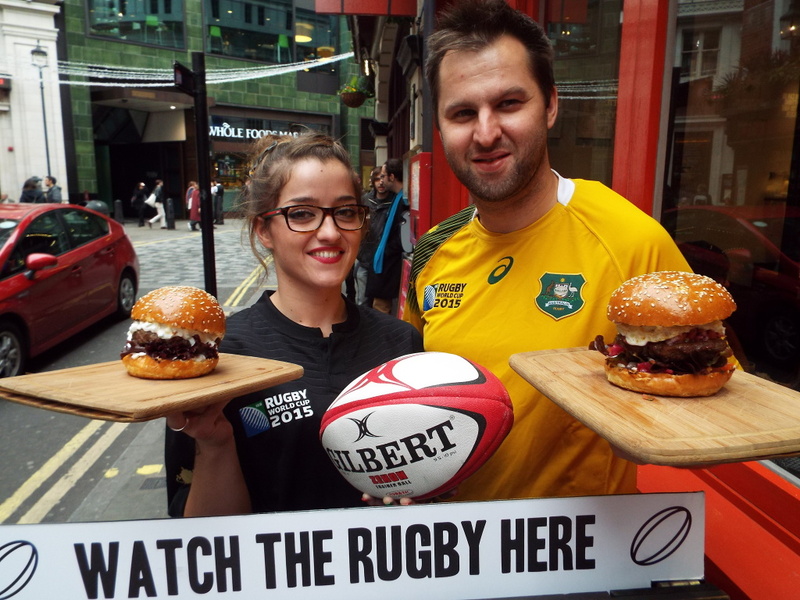 As the Rugby World Cup comes to its dramatic end in London this weekend Clockjack, the popular chicken restaurant in Piccadilly wants to celebrate the success of the finalists by creating two special burgers in their honour. Inspired by the countries’ favourite dishes these delicious new burgers will be available all week to the final on the 31st October. For Australia they have a homemade beef burger on a bed of lettuce and tomato served with a beetroot & pineapple salsa, topped with a fried egg. For New Zealand we have a lamb burger on a bed of lettuce and tomato topped with a cucumber, yoghurt and mint relish. Both are served in a brioche bun and are priced at £8.95. “It’s been a great few weeks showing the Rugby World Cup and having lots of different nationalities in to watch all the action. It’s great to have global events like this take place in London, and we’ve seen all the action live in our venue. We wanted to do something that celebrates the food of the finalist’s countries and whilst we are famous for our chicken, these were the best dishes to honour both Australia and New Zealand”.